I was born two decades after Martin Luther King Jr. was assassinated. I was born a biracial female: Black and Mexican. In preschool one of my best friends was Latina and my other best friend was half Asian-American and half White. My first boyfriend was Armenian. I have never known a world in which I cannot be served at any restaurant open to the public. I have never thought or been told that I could not be friends with or date someone because of their race or culture. And although racism still certainly exists, I have never been physically attacked due to the color of my skin. These experiences are not unique to me. This is the experience of a bulk of the Millennial Generation. Most of us born after 1980 have grown up in a world in which many brave Blacks, Chicanos, women and allies of the civil rights movement worked, bled, and died in order to make a reality. They made the ultimate sacrifice in order to move America toward a society in which a biracial Black/White man can be the president of our great nation. It wasn’t long ago that this would have been an insane notion. But the insanity of Barack Obama being President is lost on my generation. We too often take for granted as normal what others died to secure. I didn’t realize that I took so much for granted in regards to race until I saw Lee Daniel’s The Butler. The Butler reminds and encourages us to never forget the blatant and hateful racism that is a part of this country’s history while also putting in perspective that many of the mundane aspects of our lives that we consider normal today were not even possible a lifetime ago. 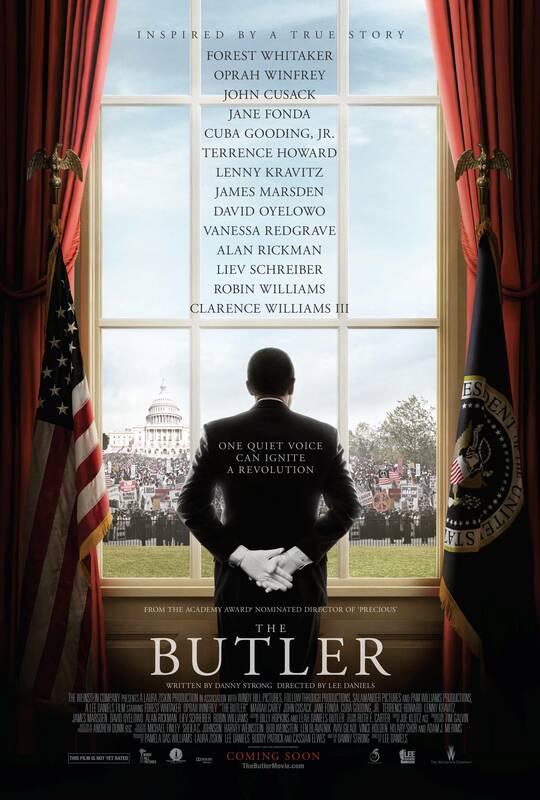 This film accomplishes these feats in a creative, factual and nonjudgmental way that follows a Black butler and his family from childhood on a cotton plantation to serving eight presidents of the United States of America in the White House, from the Truman administration to the Reagan administration. This tale is moving. It walks audiences through America and its progress post-WWII from a country that embraced racial inequality and race-based violence to a country where people like me can forget about a time when none of the rights I have had since birth were possible. This film elicits empathy and extreme audience discomfort at times but above all it is about commitment to causes greater than oneself and is a call to action to remember how far we have come but to continue to work toward true equality for all within our country that do not have the privilege to be considered equals even today. This film is a must-see and a must-own. It’s important to see the film to be reminded, to understand, to pay respect to those who were maimed and who died so that people could, for instance, attend a movie theater without regard to their skin color. It’s important to own to pass on the knowledge and the understanding to our children, and their children. Because if I as a twenty-five year old often forget these lessons of history and feel far removed from the struggles that took place before my time, I can guarantee without doubt future generations will as well. And some history should never be forgotten.